A recent study conducted by the American Journal of Public Health said that of the 83 percent of participants who had health insurance, nearly 27 percent of them had difficulty paying their medical bills. Common reasons for people not paying medical bills include confusion about what exactly they’re responsible for owing ), and/or they can’t afford the larger than expected price tag. Be informed. Know the details of what your health insurance plan covers. 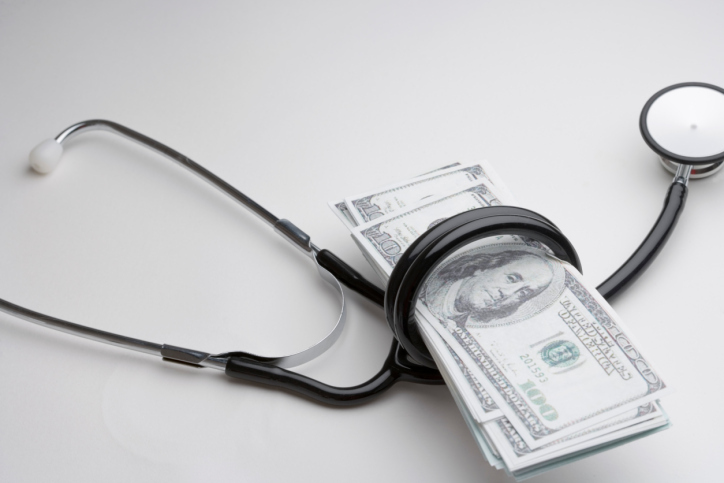 Being insured does not always mean that all of your medical costs are covered. Ask your insurer what kind of out-of-pocket expenses you can expect. How Health Advocate can help:A Personal Health Advocate will research your insurance policy and determine your out-of-pocket costs for doctor visits, medical procedures, lab work, etc. Verify that the provider you choose is “in-network.” Make sure that any labs your provider may use for various tests are also considered in-network. If the provider and/or the lab and facility the provider is using are in-network, your medical bills will be less costly than out-of-network labs/facilities. How Health Advocate can help:If you’re looking for an “in-network” provider, your Personal Health Advocate can locate one in your area. Your Personal Health Advocate can even schedule an appointment for you and transfer your medical records. Do your homework. Costs for medical procedures can vary dramatically, depending on the doctor and facility where they are performed. For example, an MRI at a large teaching hospital is likely to be more costly than having the very same procedure done at a stand-alone facility. Start by researching different hospitals and facilities to comparison-shop. How Health Advocate can help:Using Health Advocate’s pricing tool, Health Cost Estimator (HCE), your Personal Health Advocate can provide you with a list of providers in your zip code and the estimated cost of the procedure. You can also access Health Cost Estimator yourself. Simply go to your member website (HealthAdvocate.com/members) or download our FREE mobile app (from Apple or Google Play) and access HCE right on your tablet or smartphone! Plus, one touch connects you to a Personal Health Advocate for one-on-one help. Read your bill carefully. Ask for an itemized bill. This could help you spot major errors on your bills. For example, does the bill indicate that you received a treatment or procedure that you didn’t actually receive? Are you being charged twice? A Consumer Reports Health survey said that 80 percent of medical bills have errors. How Health Advocate can help:A Personal Health Advocate can check for errors on your bill and if found, can help resolve the problem. Talk to your doctor. Providers consider your financial status when recommending care. Let them know that costs are important to you. Discuss a payment plan with your physician. How Health Advocate can help:If you are having a difficult time paying a doctor bill, your Personal Health Advocate can work out an agreement with your provider, such as an setting up a payment plan on your behalf. Remember, if you are a Health Advocate member, you can reach out to us for help. Our Personal Health Advocates can estimate costs of common treatments and procedures, locate in-network doctors, resolve insurance claims, assist with correcting medical billing errors, and much more. Confused by your Explanation of Benefits (EOB)? Health Advocate can help!